Before we head into a fun filled new year of castle hunting, it's time to have a quick look back at the year in castle adventures that was 2018. I did the maths and I think I visited about 35 castles and palaces. I say 'about' because I'm not entirely sure whether I have forgotten any or what technically counts as a small palace or what's just a fancy garden house. You can visit all minus a handful of them right here, because still have three to write about yet in the new year. So what were my highlights? Certainly the Grand Palace in Bangkok and Bang Pa-In Palace just north of Thailand's capital, my first two non-European palaces I ever visited. Both of them combine European and Thai architecture in fascinating ways and I wish I could have seen the interior of any of the major structures but unfortunately there were all closed at the time I visited. I also managed to cross a long-time wish off my list of castles to visit: Schloss St. Emmeram in Regensburg. 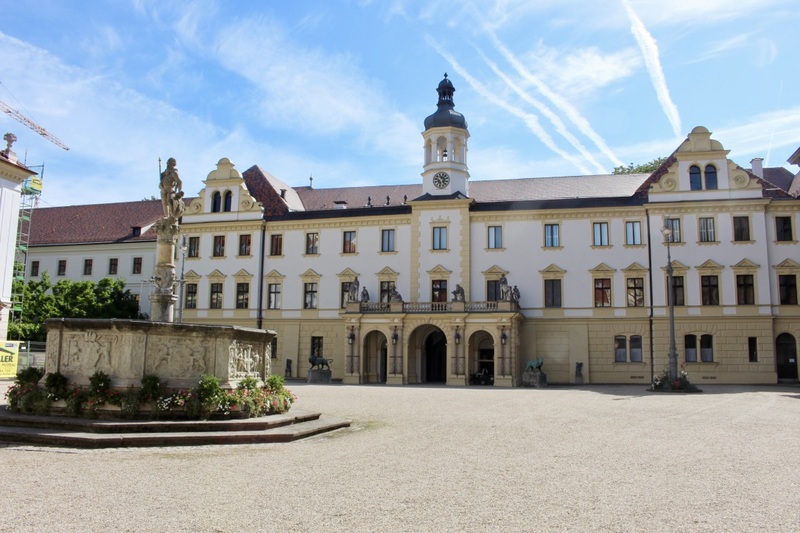 The home of the Thurn und Taxis family is the largest inhabited castle in Germany and certainly a sight to behold. I found it oddly fascinating though that while the family, well mainly Princess TnT herself, is constantly in the news drumming up visitors to their castle, the guide isn't really allowed to talk about current family members. I also went on two big multi-day castle adventures this year. In the spring, I headed to Dresden and surrounding areas to explore the splendour of the Saxon royals and nobles. I have yet to cover by visit to the Residenzschloss but you can check out the other nine palaces I saw: Schloss Albrechtsburg in Meissen, Schloss Moritzburg, the three Elbe castles Schloss Albrechtsberg, Lingnerschloss and Schloss Eckberg, the beautiful Dresdner Zwinger, Schloss Weesenstein in the Müritz valley, the Palais im Großen Garten as well as the Coselpalais. My fav? It must be a tie between Schloss Moritzburg and the Zwinger. The second big castle hunting trip of 2018 let me to Potsdam where I went to see Schloss Sanssouci, the New Chambers, the Orangery Palace and Schloss Charlottenhof, though I think it was the Neues Palais that I enjoyed the most. It simply is a place where you can really feel history through the good times and the bad, even though the others mentioned above are probably individually more beautiful to look at. Other highlights of the year included my umpteenth visit to Schloss Marienburg, which has been in the news a lot lately and I may give you an update about that in the new year; discovering the Gallery of Schloss Herrenhausen, as well as my quick look at Schloss Hardenberg. Another highlight yet to cover is my visit to the Salzburg Residence, so make sure to stay tuned for 2019! What were your favourite castles of the year? Leave me a comment below! Happy New Year, my fellow Castleholics!